America’s Navy is coming to Tuscaloosa, Alabama, one of 25 cities in ten states to host a performance by the United States Navy Band during its 2019 tour — one of the signature outreach programs of the U.S. Navy. 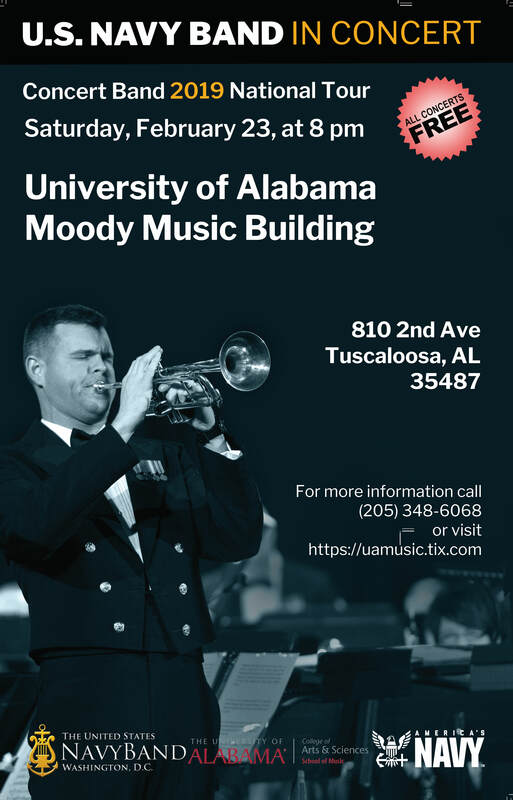 The U.S. Navy Concert Band performance is scheduled for Feb. 23, 2019, at 8 p.m. at the Moody Music Building at the University of Alabama School of Music. -The Concert Band 2019 tour will cover 25 cities and nearly 5,500 miles. -Sailors in the Navy Band are full-time professional musicians who are enlisted in the U.S. Navy.